For a limited time, 12 Pokemon will appear more often in the wild. Pokemon Go is celebrating the Lunar New Year by throwing a limited time event that will see 12 Pokemon appear more frequently in the wild until February 13. Specifically, from now until February 13 at 4 p.m. ET, Rattata, Ekans, Mankey, Ponyta, Electabuzz, Dratini, Mareep, Miltank, Torchic, Poochyena, Spoink, and Buneary will all appear more frequently in the wild. These 12 critters were likely chosen as they resemble the 12 animals in the Chinese zodiac. For instance, Rattata is like a rat, while Poochyena is similar to a dog. 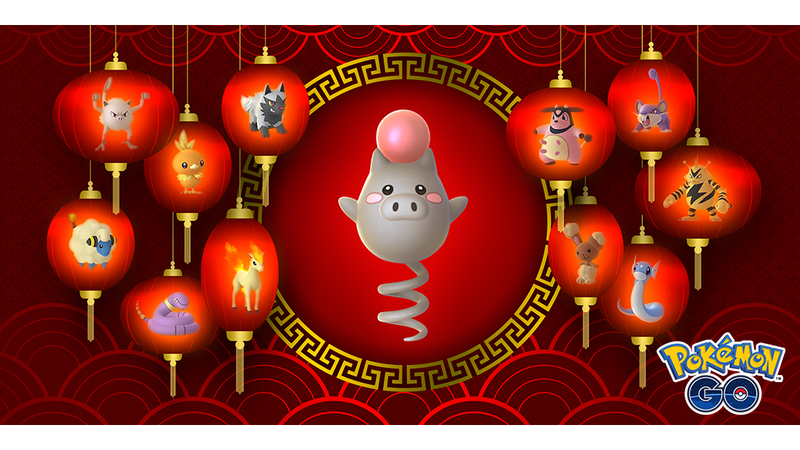 In the Chinese zodiac, 2019 is the Year of the Pig, so Shiny Spoink has also been added to the game (Spoink looks like a pig). During this event, players will earn double the normal amount of experience points when capturing and evolving Pokemon. In addition, when players trade Pokemon with another user during this event, there will be a greater chance that the traded Pokemon will become Lucky.